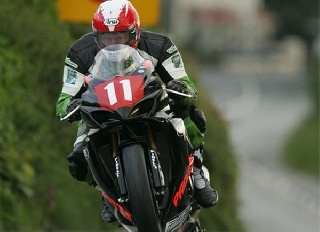 Gary, who was 46 was third in the 2004 Senior TT and had eight top ten finishes from 56 TT starts. He also won the 1997 Senior Manx Grand Prix and finished runner up in a further five MGP’s. 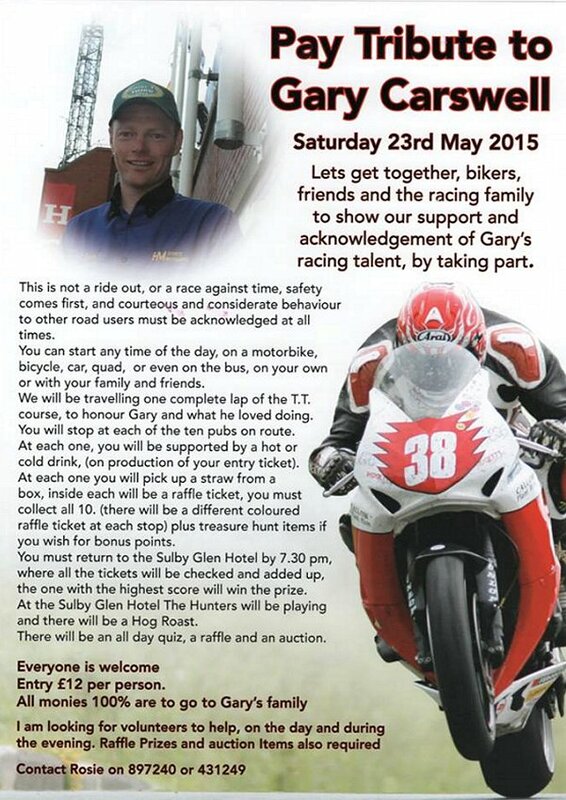 The event, which will take place on Saturday 23rd May, is aimed at bringing together bikers, friends and the local racing community to show their support for Gary and as a celebration of his racing career. The organisers are stressing that it is not a ride out, or a race against time and that safety comes first, and are requesting that courteous and considerate behaviour to other road users is observed at all times. Participants are invited to start at any time of the day and on any means of transport and suggestions include a motorbike, a bicycle, car, quad bike or even on the local Bus – and solo or in a group. The stated aim is to complete one lap of the Mountain Course as a tribute to Gary. Ten refreshment points on route have been identified with a hot or cold drink available on production of an event entry ticket. At each one of the ten points around the course, participants are required to pick up a straw from a box with each containing a raffle ticket. The challenge is to collect all ten with treasure hunt items available to acquire bonus points. Participants are then invited to return to the Sulby Glen Hotel by 7.30 pm, where all the tickets will be checked and added up, the one with the highest score will win the prize on the night. The Sulby Glen Hotel is also organizing a live band and hog roast for all participants as well as an all day quiz, a raffle and an auction. The Sulby Glen Hotel is appealing for volunteers to help out during the day and in the evening and is also asking for donation of any appropriate auction prizes. Entry is priced at £12 per person with tickets available from the Sulby Glen Hotel with all funds raised being donated to Gary’s family. You can download a full size copy of this poster by clicking on it. (.pdf file).